Sleeps 36 people, sits on the lakefront, and even comes with a water trampoline! 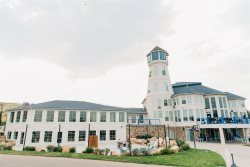 Uniquely located right on the beachfront of Bear Lake! You will get front row seats to every sunrise & sunset over the lake (take one of your paddleboards onsite and go on a sunrise paddleboard adventure to start your morning off right). Speaking of paddleboards - you have 2 paddleboards, 1 adult kayak and 1 kid kayak onsite for your whole stay. On top of that, you will get access to a water trampoline for one day of your stay (***This water equipment is only available if you stay 3+ nights***)! There is plenty of room for dining and preparing food in the kitchen. Don't forget to play some games in the loft! Fully equipped Kitchen (dishes, cookware, stove, microwave, refrigerator, dishwasher). Granite countertops with beautiful cabinetry.